A short 4 weeks from now, the 2019 SURCP State of the Beaver Conference will be held in Canyonville, OR. 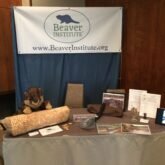 Having traveled from Massachusetts to attend all but the first one, I can personally attest to the high quality of the presentations and the incredible energy that is created when so many beaver devotees are gathered in one place. 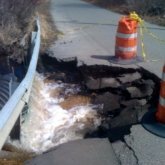 The Beaver Institute, Inc. is proud to launch its “Safe Roads Initiative” to help resolve beaver damming issues at road culverts nationwide.